Here's my second look from my Spring Fling series with SWELL! If you missed my first look, check it out HERE. Guys, will denim ever get old? I hope not because I am forever obsessed with it. 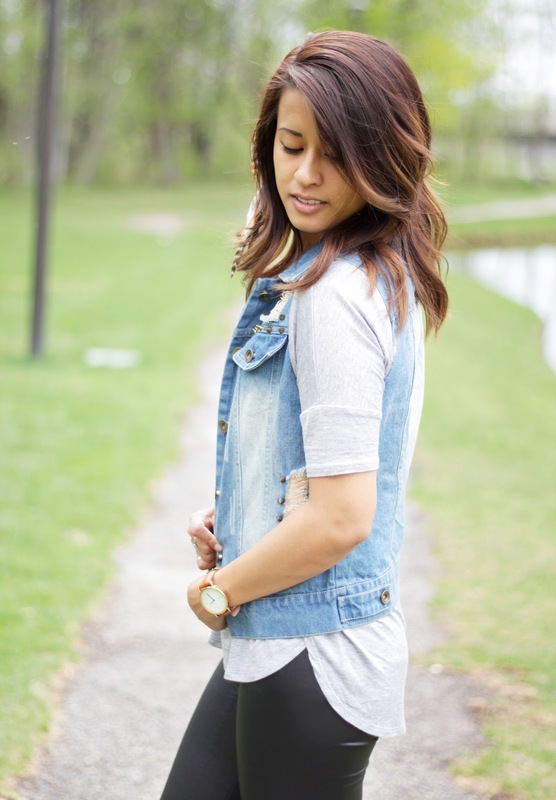 I'm pretty sure it's the only trend of clothing that has stayed consistent in my wardrobe since Pre-K. That's why I'm in love with this sweet denim Riot Vest from SWELL! I love how it has that edgy vibe with the distressed elements and studs. It also goes perfectly with this Routine Oversized Tee also from SWELL, that is probably one of the most comfortable pieces of clothing I now own. I love how to fits loosely on my body--it's my official "buffet top" because it hides my food baby whenever I pig out. As for the feather clip in my hair, it's from Kelsey's Feathers and today is the LAST day to enter the giveaway to win one exactly like it! Click HERE to go to the page where you can enter the Rafflecopter!!! 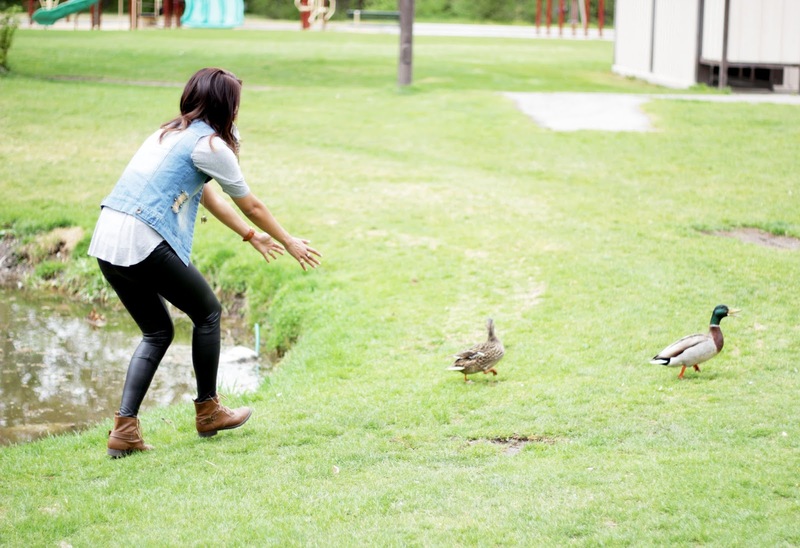 Below is a picture of me trying to make friends with some ducks. But they didn't like me so they ran away.